The AIEA Dialogues, often co-hosted with sister organizations, bring together senior international education leaders for 1-3 days to discuss relevant issues in international education. A jointly sponsored one-day meeting convened by the Association of International Education Administrators and the European Association of International Education. February 23, 2017, 9:00 a.m. - 3:00 p.m.
AIEA and EAIE resumed its jointly sponsored Transatlantic Leadership Dialogue on February 23, 2016 immediately following the AIEA 2017 Annual Conference in Washington, DC. This year’s theme explored the role of advocacy-- making the case for internationalization— as viewed from North America and European perspectives. Discussion focused on the how and why, and the challenges associated with, making the case for internationalization with: public and private sector leaders, the general public, and higher education colleagues. The topic is one that takes on particular urgency in light of present-day public reaction to globalization. Hosted by AIEA, the Asociación Mexicana para la Educación Internacional (AMPEI), and the Consortium for North American Higher Education Cooperation (CONAHEC), Dialogue of the Americas is a retreat of senior international officers modeled on the highly successful AIEA Ghost Ranch Seminars and the AIEA-EAIE Transatlantic Dialogues. Dialogue of the Americas brings together international educators from the western hemisphere to discuss common issues and challenges in international education and cooperation in the Americas. Francisco Marmolejo and Andrew Gillespie facilitated the retreat. The participants played a very large role in determining the agenda by proposing topics for discussion. We anticipated that critical trans-American issues would be at the forefront as we focused on collaboration, competition, exchange, mobility, comprehensive internationalization, campus initiatives, pedagogy, learning outcomes, research and degree structures, among other issues. The overall goal of the Dialogue of the Americas is to bring us all together to establish strong professional networks that are built on trust, shared experiences and common goals. Perhaps the most important aspect of the retreat is the opportunity to meet with engaged colleagues in an inspiring environment, where we will be able to freely share information and experiences, engage in constructive dialogue, brainstorm new concepts, and dream of a common American future in the true, continental sense of the word. For more information on the Dialogue of the Americas, please visit www.ampei.org.mx or email [email protected]. Hosted by AIEA, the Asociación Mexicana para la Educación Internacional (AMPEI), and the Consortium for North American Higher Education Cooperation (CONAHEC), Dialogue of the Americas is a retreat of senior international officers modeled on the highly successful AIEA Ghost Ranch Seminars and the AIEA-EAIE Transatlantic Dialogues. This Dialogue of the Americas brings together international educators from the western hemisphere to discuss common issues and challenges in international education and cooperation in the Americas. The Dialogue took place at the Hotel Westin San Luis Potosí: www.westinslp.com.mx. For more information, visit www.ampei.org.mx or email [email protected]. Each seminar involves a small group of participants, usually no less than ten and no more than fifteen. It is conducted as an intensive three-day retreat seminar, often in a low cost "rustic" retreat camp or conference center in an isolated location. Continuity from one seminar to the other is provided by having one or two previous participants as the coordinators of each seminar. Though a general format for the seminar is determined prior to the seminar itself, the participants determine the final format (and topics) once they arrive and are first engaged in the seminar. The agenda of topics for discussion is determined by the participants, based on issues that they identify as important prior to the seminar. Issues/topics can include: best practices in international education, effectiveness of SIOs (senior international officers), internationalization and new technology, international partnerships, advancing comprehensive internationalization, connecting internationalization to institutional initiatives, educational diplomacy, joint/dual/double/shared degrees, impact of Bologna, health/safety/liability issues in education abroad, effective collaboration with other institutions/organizations, understanding the international context of our work, international education research. There is high participant participation within small groups, as well as within the overall seminar group. Some time is scheduled within each seminar for reflection and recreation. The participants are diverse and include, to the degree possible, representatives from a wide range of institutions and backgrounds. When held in the US, dialogue seminars usually include the following groups: new AIEA members, long time AIEA members, potential AIEA members, from small private liberal arts colleges, community colleges, regional state supported universities, large private universities, and flagship state universities and land grant universities. The coordinators of each dialogue seminar prepare a report on that seminar and its results that is submitted to AIEA's Professional Development Committee. These reports are also posted on AIEA's website. 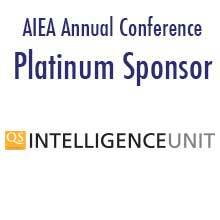 One of the benefits of AIEA membership is that AIEA underwrites some of the expenses of participating in its signature internationalization dialogue seminar, a unique professional development opportunity for AIEA members. AIEA allocates funds to cover most of the costs for running each dialogue seminar. This covers the cost of seminar materials, food, some lodging, and rental of the seminar facility. In some cases, this also covers local transportation (transportation between the airport and the seminar site and local transportation during the seminar). Each participant is asked to pay a registration fee to help defray part of the costs of running the seminar along with covering some lodging costs. Participants are also expected to cover their transportation costs between their home location and the airport nearest to the seminar site. To bring serious and committed international education professionals (primarily non-members) into an AIEA dialog that could highlight the benefits of AIEA membership. The first seminar was held, as planned, in April 29 through May 2, 1994 in the Ghost Ranch conference center located in Abiqui, New Mexico. Subsequent annual "Ghost Ranch" seminars took their name from the location of that first site. This initial experience was considered so successful and valuable that the Executive Committee approved subsequent seminars - which were all labeled "Ghost Ranch" based on the first one. "Ghost Ranch" Dialogue seminars were organized in 1995, 1996, 1997, 1998, and 1999 and in more recent years have been co-sponsored with sister organizations and held in conjunction with international conferences such as EAIE and AMPEI. Ghost Ranch II was held in Valle Crucis, North Carolina, April 28 - May 1, 1995. Ghost Ranch III was held at the Oak n' Spruce Resort in Massachusetts, September 19 - 22, 1996. Ghost Ranch IV, was held at the Wakonda Retreat Center in Griswold, Iowa, September 18 - 21, 1997. Ghost Ranch V was held at the Pilgrim Pines Camp and Conference Center, Yucaipa, California, September 17 - 20, 1998. Ghost Ranch VI, was held at the Silver Falls State Park Conference Center in Silver Falls, Oregon, September 16 - 19, 1999. In the spring of 1999 a "Super Ghost Ranch" was held at the original Ghost Ranch conference site in New Mexico, April 17 - 20. This seminar involved most of the coordinators of previous Ghost Ranch seminars. The group focused its attention to four key areas related to professional development of the Chief International Education Administrator. In late 1999 and early 2000 the AIEA Executive Committee went through a strategic planning process. One of the outcomes of this process was to recommend that Ghost Ranch type seminars be one of the priority programs or activities sponsored by AIEA, that they be expanded in numbers, and possibly expanded to other audiences. In the spring of 2000, the AIEA Executive Committee decided that starting with the 2000-01 academic year there would be an effort to organize two "Ghost Ranch" dialogue seminars per year, in order to involve greater numbers of AIEA members and non-members in that valuable experience. Since then, these Dialogue Seminars have continued to be of interest to AIEA and its members. In 2005, AIEA and EAIE co-sponsored a joint "Transatlantic Dialogue" seminar in Krakow in conjunction wih the EAIE conference. In 2006, AIEA and EAIE again co-sponsored a joint "Transatlantic Dialogue" seminar in Basel. In addition, AIEA and AMPEI co-sponsored its first "Dialogue of the Americas" in 2006 in Cuernavaca in conjunction with the AMPEI conference. In 2006-07, AIEA developed a new strategic plan and constitution. With the new constitution, the CAPS committee changed to the Professional Development Committee and the new strategic plan calls for a key focus on professional development of AIEA members. The dialogue seminars will continue to be one mechanism of professional development, along with other programs under development.